M-CHECK is an online authentication system which has been developed by NANOBRICK, and it can support more powerful security than other general online authentication systems. Applying QR codes to the M-TAG Lite, Standard and Premium makes the authentication process simple and makes it possible to provide product information and optional services. With regard toa counterfeit, the consumer can directly report the place of purchase to trace its distribution channel. 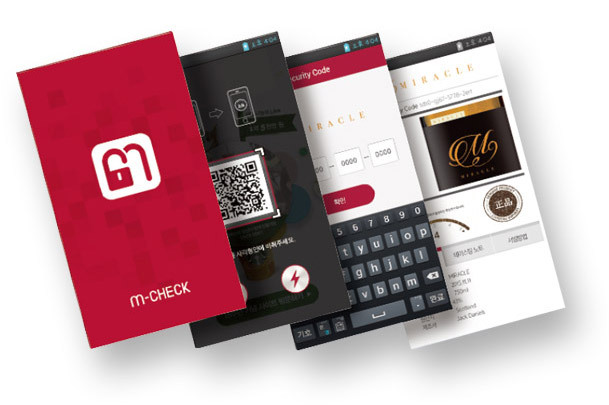 NANOBRICK’s own authentication system, M-CHECK, can be used for various purposes such as a new marketing tool as well as authentication. Please download it from the App Store and Google Play! The online authentication system using a smartphone application can be used by all ages without difficulty. 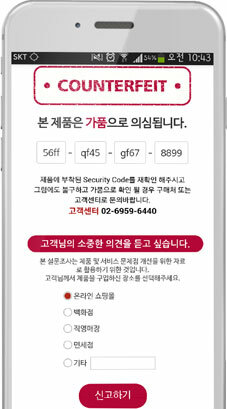 QR code scan will allow an M-Check application to display a brand logo and a security code input spaces.By verifying a security code the M-Check application will inform the authenticity of product and a verification history. Ranging from simple online authentication to location information services, an authentication data analysis-based track and trace service, upcoming event notification services, online to off-line marketing services, and even integration into your own website. the genuine and the non-genuine products are verified. 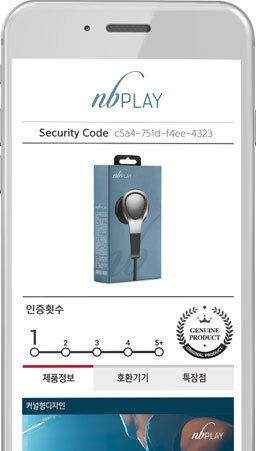 We will describe how to check the authenticity of each product with NANOBRICK’s online authentication system, M-CHECK. When the security code is matched, it will take you to the authenticity page for authentication and additional information. 1Provides the administrator ID to let the partner company manage it directly. 2Registers the logos and product images only for the partner company. 3Records the cumulative authentication frequency to let consumers themselves check the authenticity of each product once again. 4Freely selects the language-specific or color-specific authenticity icon. 5Uses it as a marketing tool including product information, events, website links, etc. an announcement of the counterfeit product. The consumer can directly report the place of purchase. 1Recommends the partner company’s measures against a fake with the fake suspicion phrase. 2Allows the consumer to directly report the place of purchase to trace the distribution channels. 3Regularly provides the partner company’ with data (the authentic/counterfeit product rate and the place of authentication) via M-CHECK.